What is paternity testing? 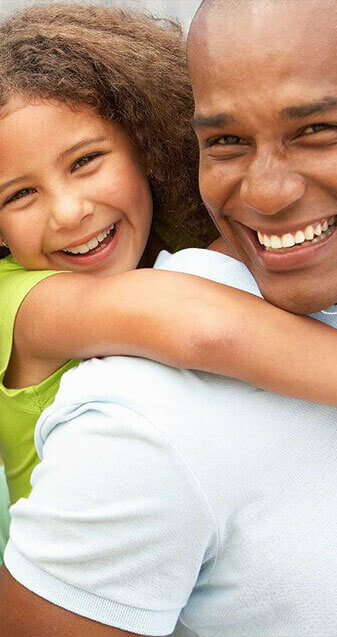 Paternity tests establish a biological relationship between a child and a father. We perform our Paternity tests as a “Duo” or “Trio” test. A duo test involves the child and an alleged father. In contrast, a trio test involves the mother, child, and the alleged father. Our test results are at least 99.96% for inclusive testing. Similarly, we achieve 100% accuracy in our exclusive testing. Stating whether or not there’s a possibility that two potential fathers are related is important when seeking paternity DNA tests. For example; the alleged fathers are brothers, father and son, or they are cousins, etc. If this is the case, all related alleged fathers need testing. Alleged fathers who are related have similar DNA, which could result in either an inconclusive result or a false inclusion. For the majority of paternity test cases, the 16 genetic marker panel is more than adequate. However, special circumstances require extended testing to obtain a statistically desirable result. DNA test results overwhelmingly decide the outcome of a paternity test. We base our Paternity testing results and conclusions on statistics and probabilities. Examining a greater number of genetic markers guarantees more genetic evidence and a stronger result. We analyze enough genetic markers in relationship testing to routinely yield a combined paternity index (CPI) of at least 100. The industry standard requires using 16 genetic markers. However, using fewer markers can yield accurate results. The 16 marker technology achieves a probability of identity of 1 in 40 quintillion, or 1 in 40,000,000,000,000,000,000. We can perform Paternity tests without the mother. However, we recommend testing the mother in the event that the alleged fathers are related. Including the mother’s sample raises the validity of the paternity DNA test. Failing to include the mother’s sample in the test reduces the ability to detect false inclusions. False inclusions occur when an alleged father is tested and is falsely included as the father when he should really be excluded. We include the mother in the test as it accounts for the child’s maternal alleles. We narrow down the number of alleles we examine for paternity by 50% using this method. When the mother is not included in the test, the father’s alleles in the child cannot be determined, therefore the father’s alleles have to be compared to every allele the child has. This decreases the paternity index at each marker and decreases the overall combined paternity index. Including the mother in the test assists to provide legal consent for the child. In New York State, if the alleged father is not on the birth certificate, he does not have the legal authority to sign for the child’s DNA testing services. Involving the mother in the testing allows her to provide the child’s birth certificate and give consent for the child to be sampled. Upstate DNA provides extremely accurate paternity testing at affordable prices. Call or visit us today to rid yourself of any doubts.